Bold, colorful, patterned carpets are one of the biggest flooring trends we've seen recently. There's truly something for everyone in these new carpet designs. A highly contrasting geometric pattern is very contemporary. A more subtle floral pattern shines in a classically designed room. Add in texture options and you have a whole new world of carpet to explore. Let's explore some of the ways you can go bold with your carpet. Scale: large scale patterns can dominate a room, they are best used in a design with fairly neutral or solid-colored furnishings. Small scale patterns are a bit more versatile but you'll still want to match them up with the furnishings to make sure they complement each other. 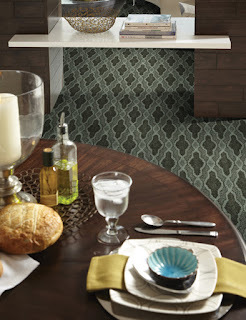 Colors: You can pick a carpet that uses different shades of the same color to subtly bring in the pattern. You can also be very bold with highly contrasting colors and make the carpet the focal point of the room. Popular colors in patterned carpets include grey, silver and lavender. 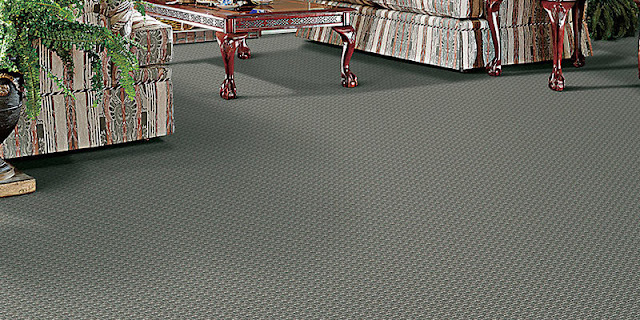 Learn more about patterned carpets from Indianapolis carpet store Kermans. 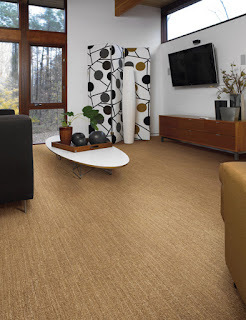 Textured carpets let you bring in the feel of a pattern but without the different colors or distinct designs. Swirls, lattices, plaids, pin dots... these designs and more are made from different heights of the carpet pile or loops. These carpets tend to be very durable, making them an excellent choice in a high traffic area. Popular textures include ribbing and woven textures. Learn more about textured carpets from Indianapolis carpet store Kermans. You can also combine both pattern and texture in a carpet. These carpets have the practical advantage of minimizing soil and vacuum marks and the design advantage of a distinctive look and feel in any room. Do you have a room where a bold, patterned area rug would work better than carpet? Kermans has the perfect solution. We have the ability to take any carpet and create a custom area rug. Pick the size, shape and carpet - and you'll have your own unique rug! Area rugs are a great way to take advantage of a current trend without changing the decor of an entire room. New manufacturing capabilities have really opened up the choices in carpet. Instead of being a neutral backdrop, these patterned, textured carpets become the focal point of a room. They contrast well with a variety of furnishing styles and really let you personalize your room. Whether you want to go subtle or bold, the design consultants at Kermans can help guide you. With their advice and Kermans' wide selection of carpets, you're sure to find just the right floor for your home, lifestyle and budget. Stop by our Indianapolis carpet store to start exploring your options.